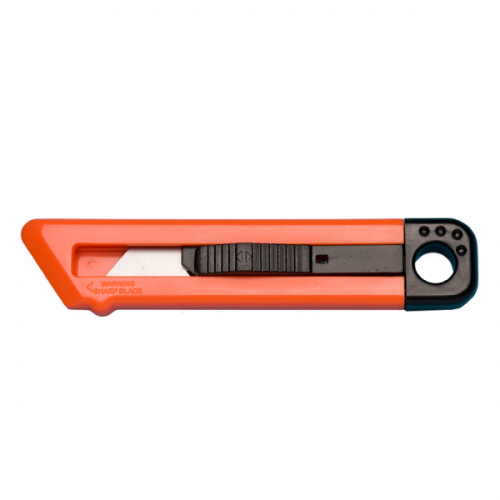 Economical Slim Line Plastic Safety Utility Knife. Economical, Safety Spring-Back Blade Utility Knife. 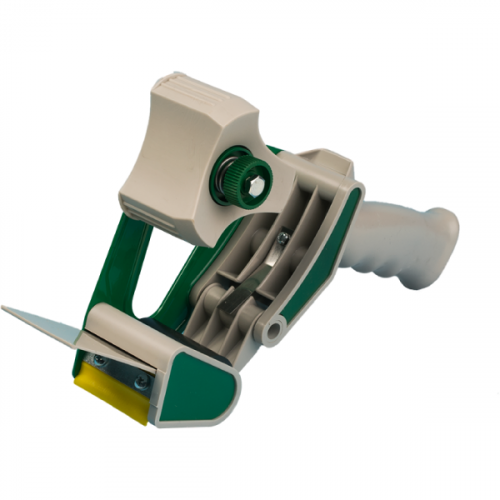 Lightweight and economical, this compact safety box cutter is made of hi-impact plastic and is perfect for use in supermarkets, shipping rooms, moving, storage applications, and anywhere a box cutter is needed. 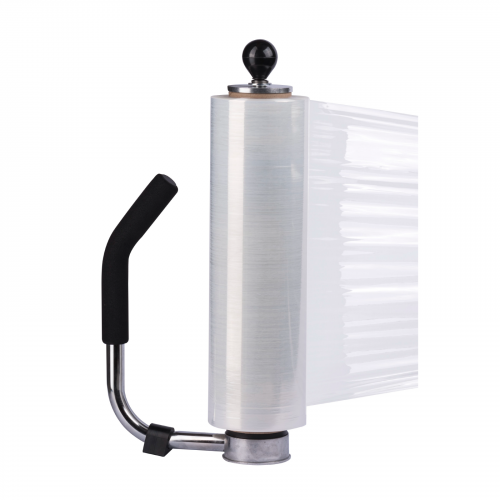 The 2 point heavy duty blade is easily reversed or replaced without any tools needed. Uses Tach-It Style B-3 Blade.